Twenty-five people, mostly teenage boys, were killed Thursday when a blaze tore through a Malaysian school, in what officials said was one of the country's worst fire disasters for years. 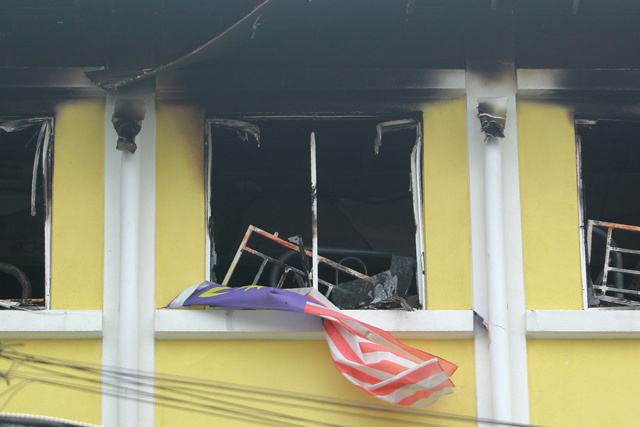 The blaze broke out before dawn in the school - in the heart of the capital Kuala Lumpur. "The children were desperately trying to escape the flames," Federal Territories Minister Tengku Adnan Tengku Mansor said in a television interview. "There were metal grills which prevented them from exiting the burning building." Kuala Lumpur Police chief Amar Singh said that "the bodies were totally burned". "Unfortunately there was only one entrance, so they could not escape. All the bodies were found lumped on one another." The Star newspaper reported that people in the area who had woken for morning prayers heard cries for help and saw flames engulfing the top floor of the building, where children were sleeping in dorms. Khirudin Drahman, director of Kuala Lumpur's fire and rescue department told AFP it was one of the country's worst fire tragedies in 20 years. Fire department officials said 23 students and two teachers were killed in the blaze. Police chief Singh said the victims who were students were all boys aged between 13 and 17. 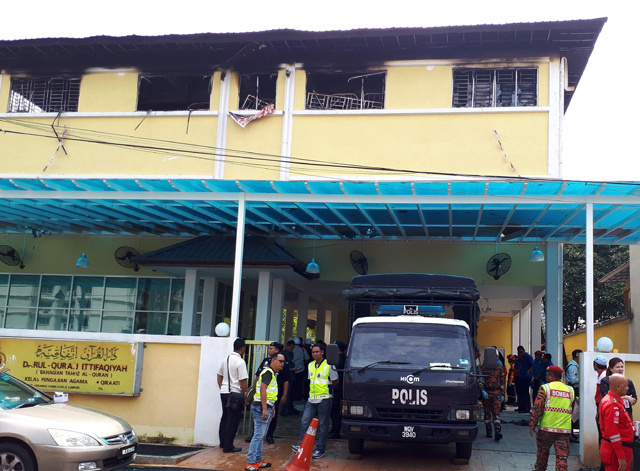 The Star newspaper reported that the fire and rescue department had raised concerns about fire safety measures at unregistered and private tahfiz, and had recorded 211 fires at the institutions since 2015. It said there was a major fire at a school in 1989 in the northern state of Kedah, which killed 27 female students.